In a single decade between 1979 and 1989, half of all Africa’s elephants were lost to the ivory trade, according to pan African census conducted by STE’s Iain Douglas-Hamilton. Amid public outrage over the crisis, in 1989 Kenya burned her stockpile of ivory in protest at the trade and the world’s international wildlife trade body CITES banned all international trade in elephant tusks. 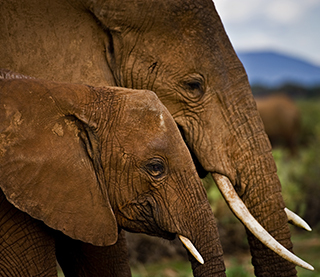 For the next decade the trade lay dormant and African elephant populations began to recover. By 2007 it was estimated to be between 470,000 and 690,000 (Blanc et al. 2007). But a new crisis was brewing, fuelled by demand for ivory particularly in China where a demographic and economic boom had taken place. Save the Elephants works to secure a future for elephants, and is fighting hard to stop the killing, stop the trafficking and end the demand for ivory. Elephants are fast disappearing from the wild. Without urgent, international action they could be gone within a generation. The Elephant Crisis Fund provides rapid, catalytic support for the most effective projects designed to stop the killing, thwart traffickers and end the demand for ivory. 100% of all donations reach the field. Save the Elephants is funded almost entirely by private donations. It is only through the generous support of donors that we are able to continue our important elephant conservation work. We rely entirely on funds, grants and donations from around the world, so thank you for helping us to secure a future for these fascinating creatures. Our unique brand of conservation education encourages students to become ambassadors of their rich environment. We also give opportunities to friends around the world to help educate young minds and improve the infrastructure of their schools. 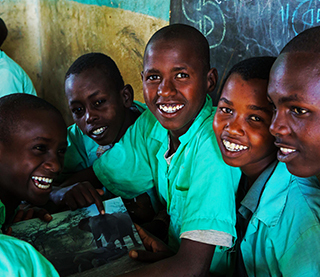 Sponsor a child & help build a future for wildlife.